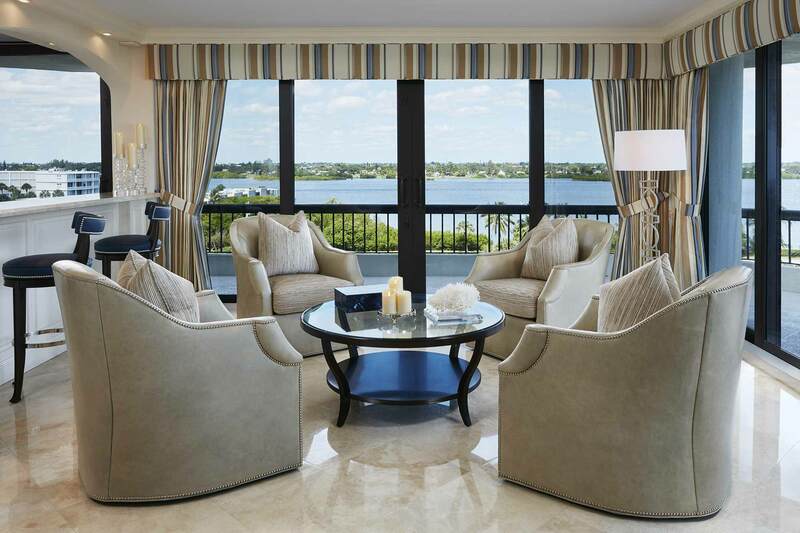 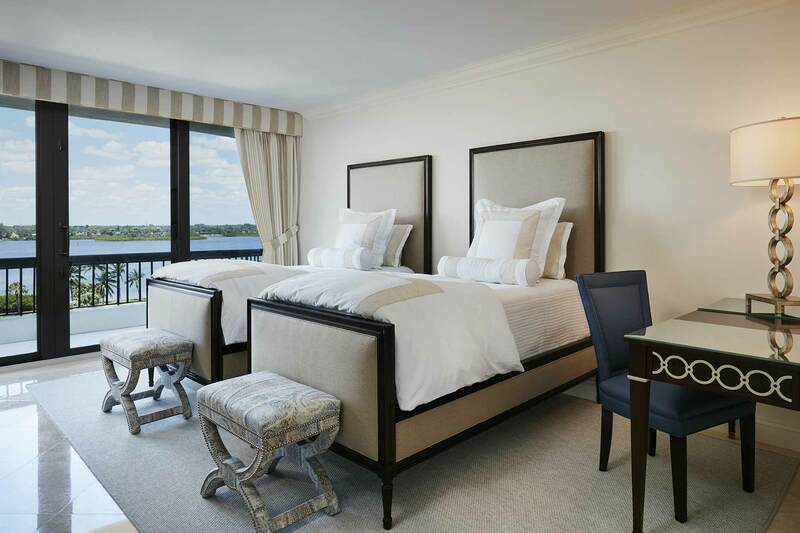 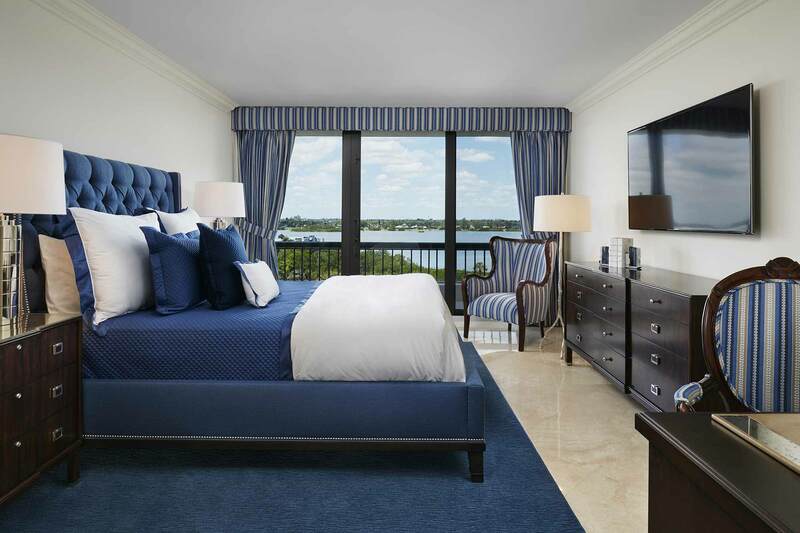 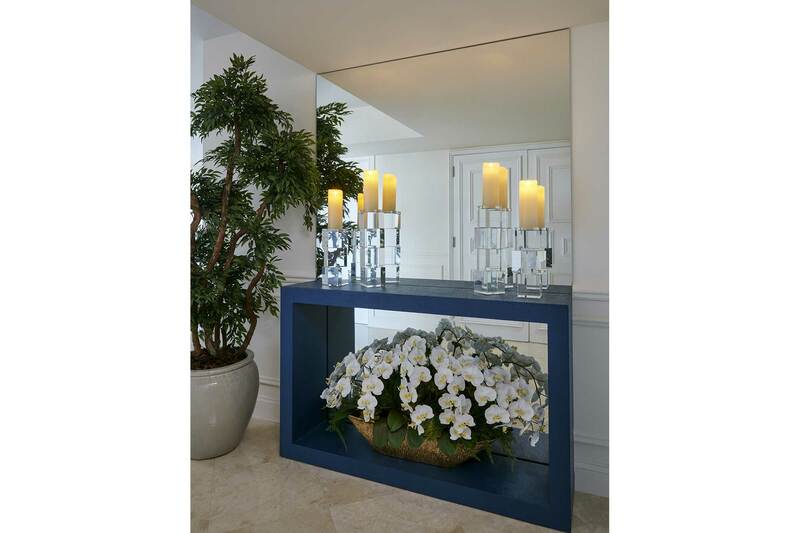 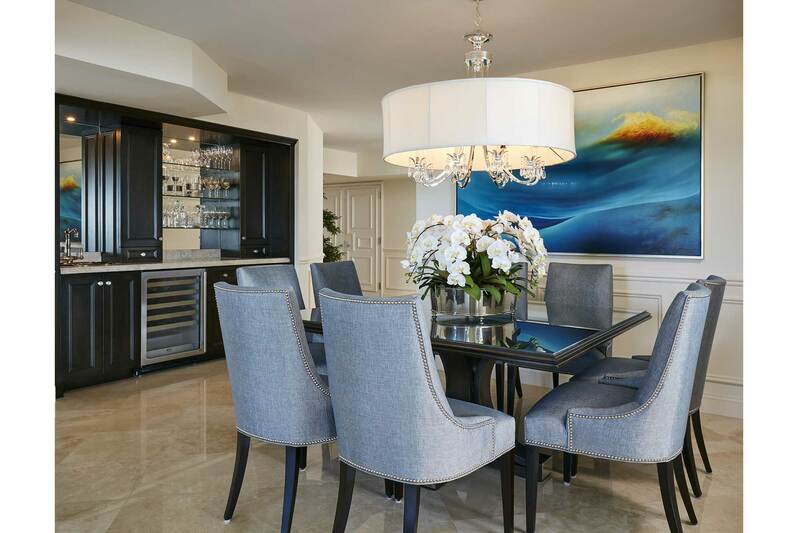 Luxe Palm Beach, Florida apartment overlooking the inter-coastal and ocean with transitional design. 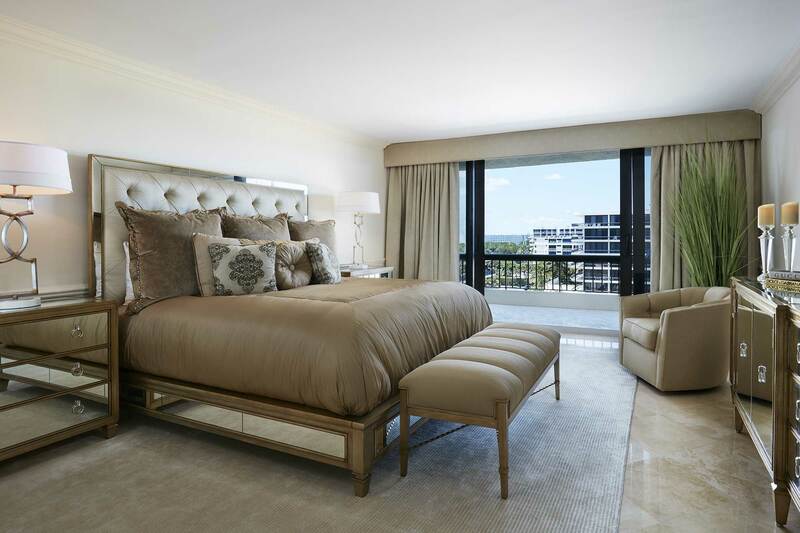 Wrap-around terrace on this high floor takes advantage of the fabulous views. 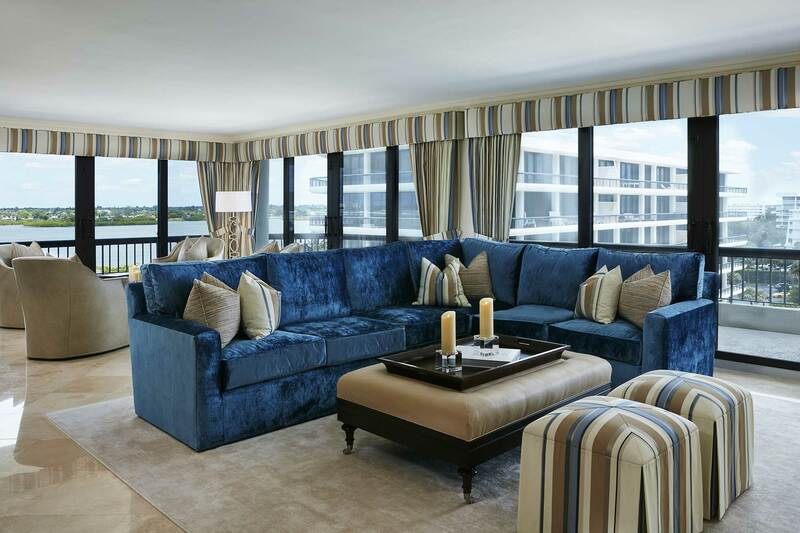 Plush sectional in vibrant blue with tan accents work with natural colors from the floor to ceiling windows. 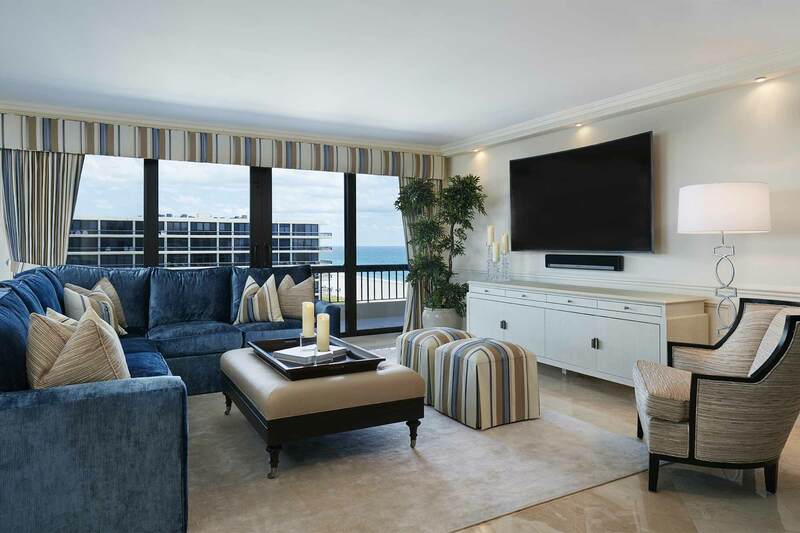 Custom window treatments wrap the room with warmth.